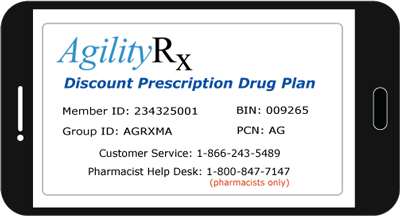 Agility Rx's discount prescription drug card is a FREE card available to those, uninsured or underinsured, to save money on all prescription medications. Instead of paying full price for prescription medication, Agility Rx card members can instantly save money when filling a prescription. Although the card can’t be combined with insurance, our card can help during high deductible scenarios and the Medicare Part-D donut hole. Our card has NO enrollment fee, NO deductibles, and NO activation fees. Agility Rx’s discount card covers all FDA approved brand-name and generic prescription medications. The card is also accepted at over 64,000 participating pharmacies nationwide, including most major chains and independent pharmacies. Agility Rx’s discount card is accepted at over 64,000 participating pharmacies nationwide, including most major chains and independent pharmacies. How does the prescription discount card work? The card offers no hassle at pharmacies, like insurances, we have already worked with participating pharmacies on pricing so our member’s wouldn’t have to. Agility Rx has already worked with pharmacies in negotiating discounts on the member’s behalf. When the card information is entered, the price of the prescription is discounted based on the previous agreements. This helps members get discounts up 75% off generic drugs and up to 15% off brand name medications. Keep in mind, our card, unlike other competitors is eligible for the whole family, including household pets! 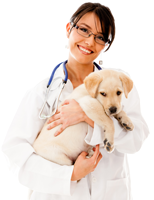 Prior to filling your pet's prescription at your retail pharmacy, print a card and present it to your pharmacist at the point of sale. Please note that Walmart does not currently accept discount cards for member’s trying to purchase prescriptions for their furry friends, but plenty of other pharmacies accept our card. Download and print your discount card today online or download our app in the App store.